The Kitsap Chapter of the Military Officers Association of America will hold It’s APRIL meeting on April 26, 2019, beginning with a social hour at 1100 and a luncheon meal at 1200. The William Turnbull award winners from the Bremerton and South Kitsap NJROTC Battalions will be recognized and an election will be held for the new slate of officers and directors for the chapter. Also, a National MOAA representative will be present and speak at the meeting. 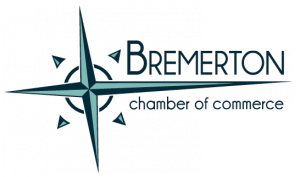 The location for the meeting will be at the Bremerton Elks Lodge, 4131 Pine Road, East Bremerton. Please make reservations by April 20th by calling 360 769 2412 or 360 779 4427. Cost for the luncheon will be $15.00.